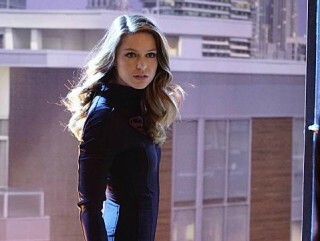 Kara is exposed to Red Kryptonite, stripping her of her inhibitions and turning her against her friends and loved ones. After Supergirl threatens her life, Cat speaks out to turn the city against its hero. "Falling" - Kara turns on her friends and the citizens of National City after being exposed to Red Kryptonite makes her malicious and dangerous. Also, Cat appears on THE TALK to discuss Supergirl, on SUPERGIRL, Monday, March 14 (8:00-9:00 PM, ET/PT) on the CBS Television Network. The hosts of CBS Daytime's "The Talk" guest star.